Lock in a great price for Maistrali – rated 8.9 by recent guests! It's a simple, clean hotel with an excellent location. No frills. Friendly staff, clean room with a wonderful view of the beach. The hotel is also very close to places you can have lunch and is a 5-minute walk from where the ferry boat leaves you. Location. The sea view. And Babis provided a lot of information about the island, buses, and hiking. Super-friendly and helpful owners who really pay attention to their guests and their requirements. I had booked a room with a seaview and sent an extra request asking for a room on the upper level, and was given the very nicest of all the rooms. Excellent location on the beach with the mountains and lovely little Chora as a back drop. Very price-worthy breakfast buffet. Perfect spot overlooking the harbour and beach. Restaurants and cafes all close by. 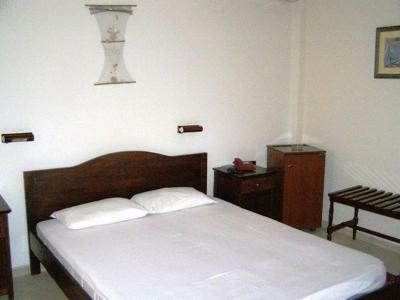 The rooms were very clean and comfortable and the owners very friendly and helpful. We loved our stay here, so relaxing. Fabulous location with balcony overlooking the sea, comfortable beds, good breakfast, friendly and helpful proprietor. Lovely traditional hotel right on the waterfront and in a great central location with a great little balcony looking straight out to see. Our lovely host made us feel very welcome and even gave us a little gift on departure. We will definately go back to Maistrali next time we visit the gorgeous island of Serifos. Big comfortable room with a good-sized balcony and a lovely sea view. 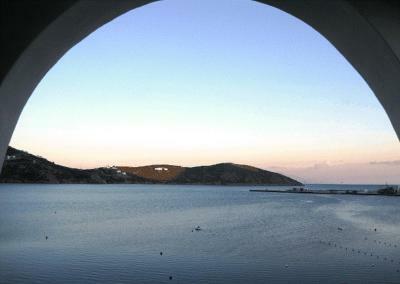 Liked the location,easy to get to from port.hotel room nice and bright looking at hora on the hill lovely view. Maistrali This rating is a reflection of how the property compares to the industry standard when it comes to price, facilities and services available. It's based on a self-evaluation by the property. Use this rating to help choose your stay! Enjoying a beachfront location in Livadi beach, the family-run Maistrali offers air-conditioned rooms with village or sea views. 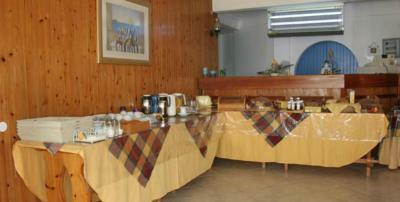 There is free Wi-Fi in the reception and the breakfast area. Livadi Port is 1,950 feet away. The rooms at the Maistrali Hotel are classically furnished and have private balconies with views of the Aegean Sea or the scenic town houses. Each has TV, hairdryer, safe and fridge. Guests can start their day with a buffet breakfast at the outside shaded terrace overlooking the sea. Free coffee and hot beverages are offered during breakfast time. Guests at the Maistrali Hotel enjoy easy access to the beach of Livadi, as well as Livadakia and Karavi, both within a short walking distance. Offers TV, hairdryer and fridge. Enjoying views of Serifos Town from its balcony, this air-conditioned room has a satellite TV and fridge. The private bathroom comes with hairdryer. Featuring Aegean Sea views from its balcony, this air-conditioned apartment has a separate bedroom. It comes with satellite TV and fridge. The private bathroom comes with hairdryer. All children under 12 years are charged 10 % of the room stay per night for extra beds. Couldn't get the wifi to work in my room. Worked great in the lobby. We were there for 12 days and would have liked a bit more variety with breakfast same thing every morning. Great location. Hotel manager was fantastic. 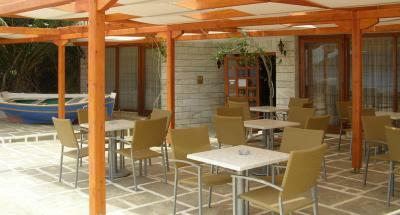 Fantastic atmosohere, ideal location and very friendly and kind owner. The owner, Mr. Babis was really friendly and offered me to take me from the port, even it was only about 500m ,he wait for me in the night, because my boot was more two hours late. He explained me everything about Serifos and also I could find travel informations in the room, the room was spacious and comfortable, also the badroom,the balcony was also big and had a nice view to the chora. It was also very close to the restaurants,shops and the beach. Also to the local busses to discover the island .When I left I did not see Mr. Babis in the morning and he came to me to the port to take a small present for me, this was really amazing,thank You so much.